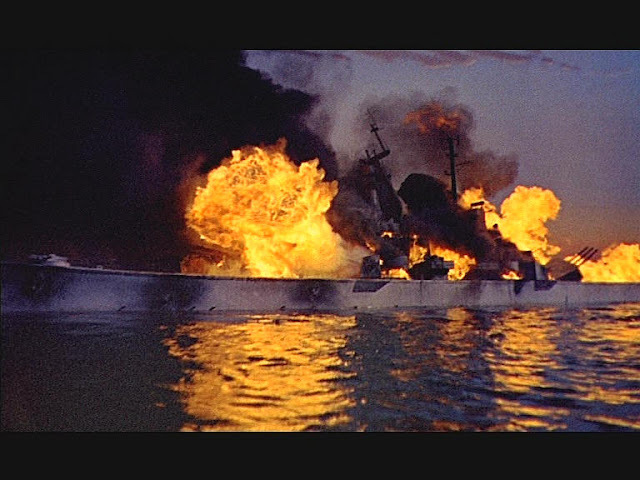 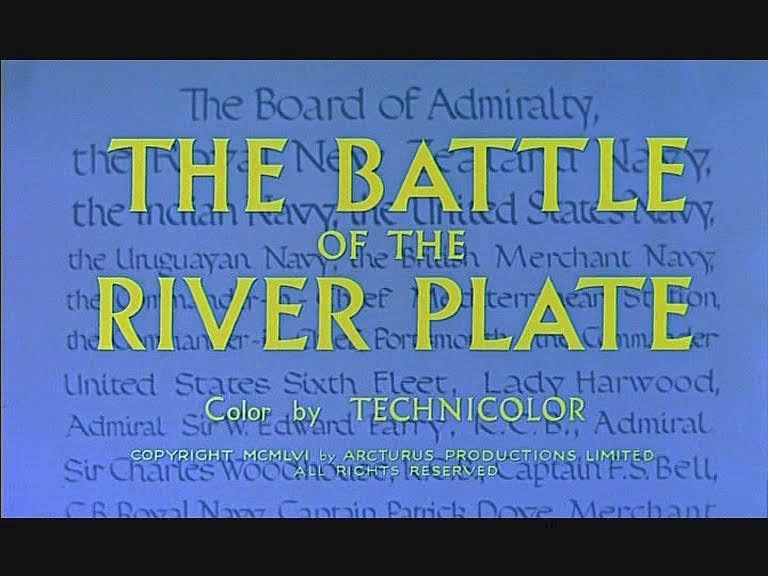 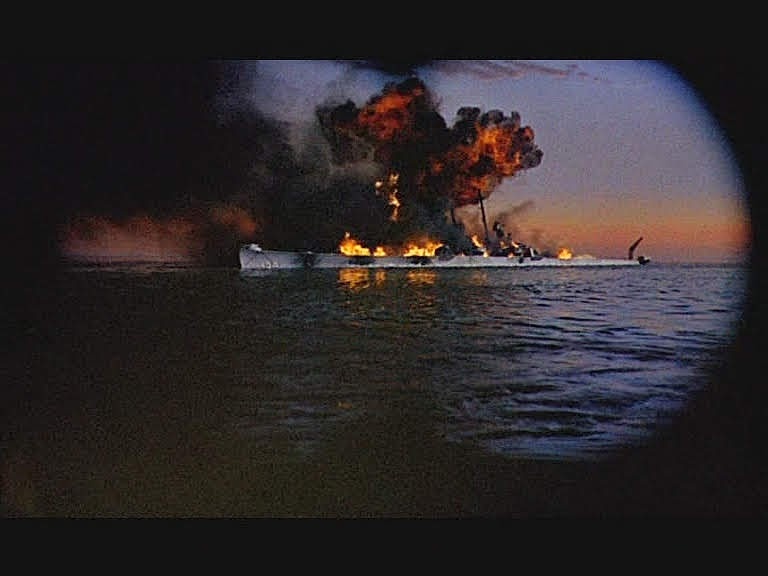 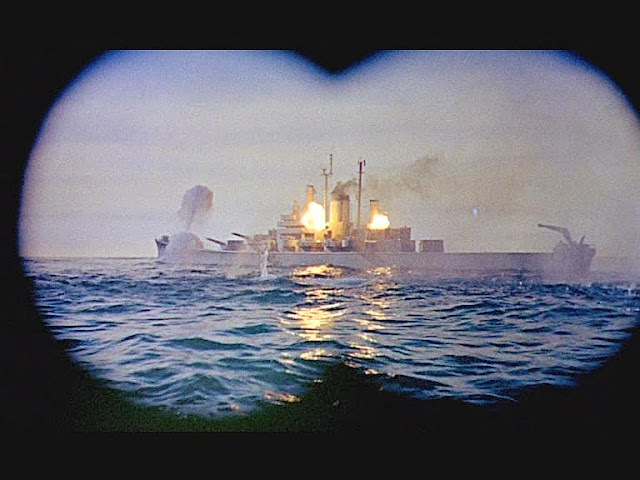 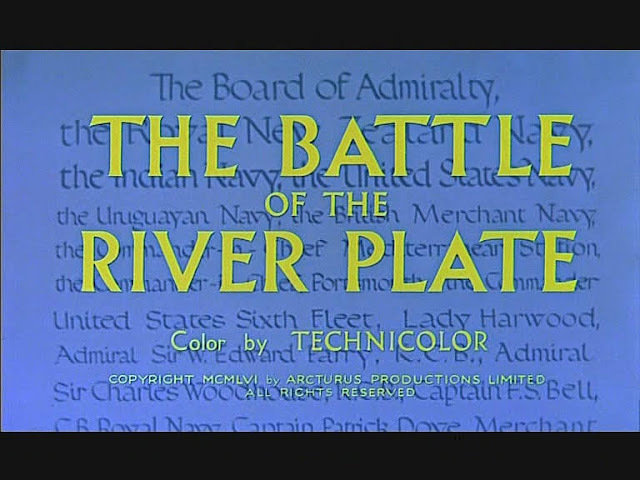 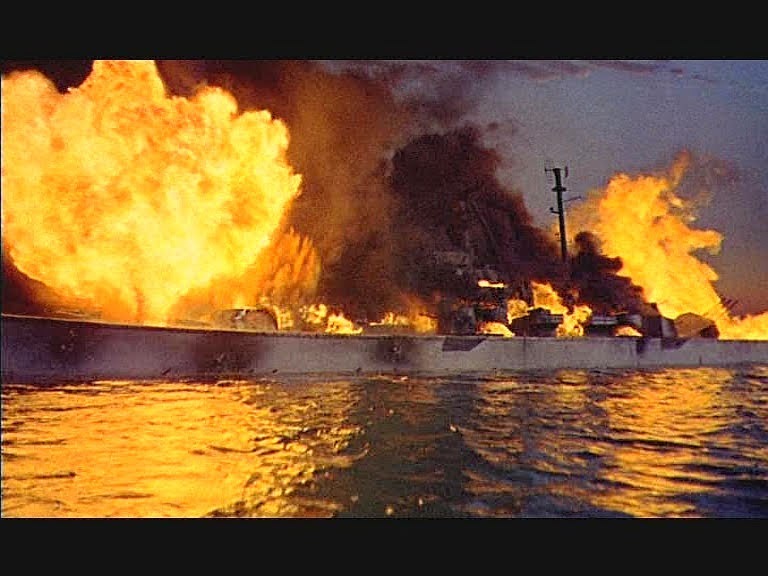 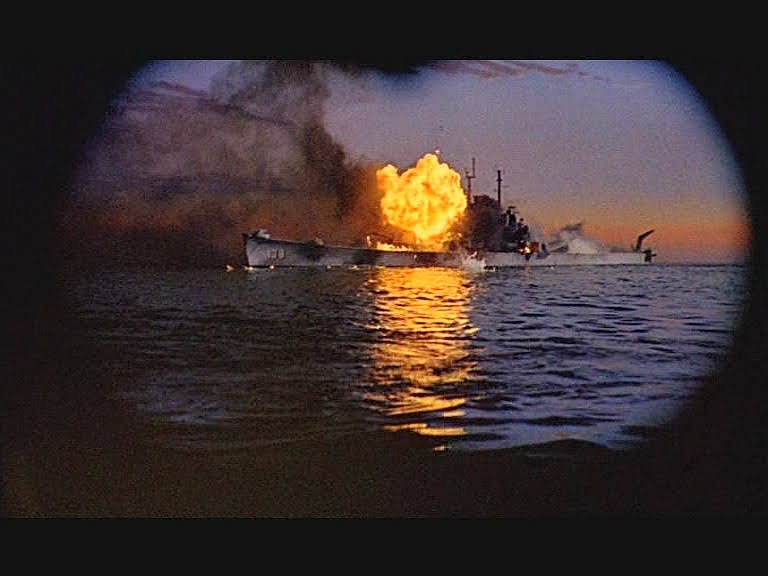 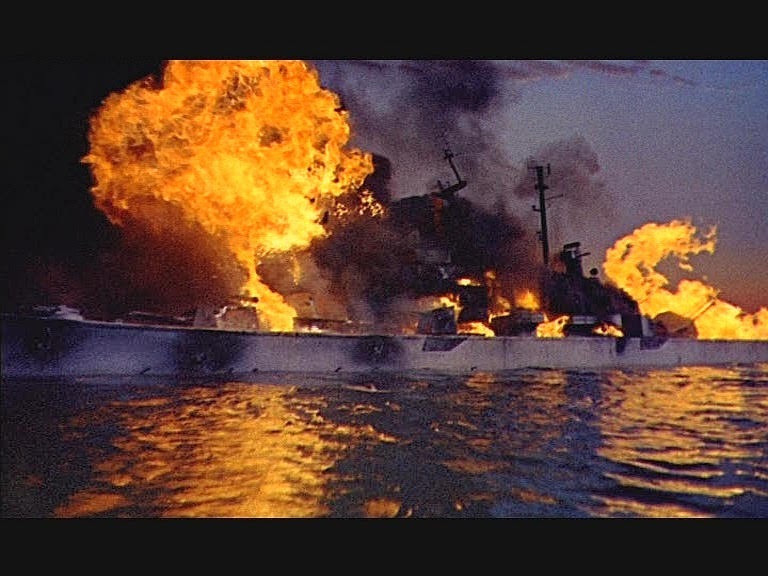 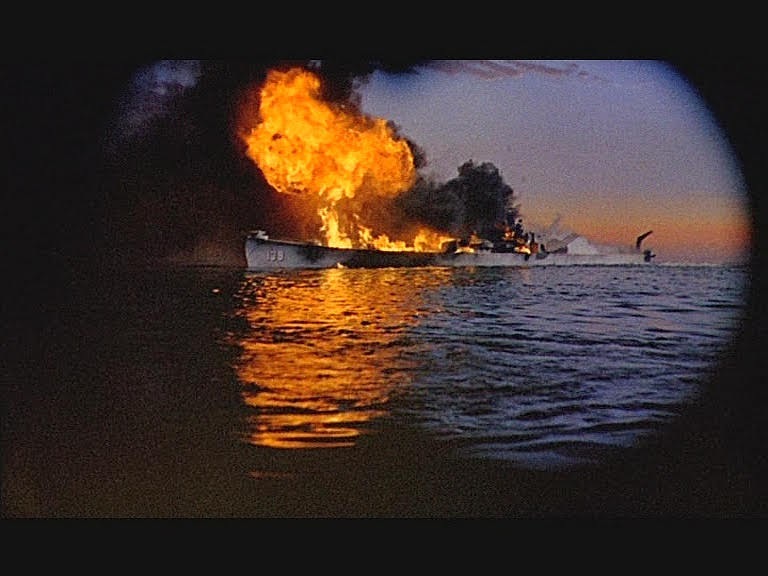 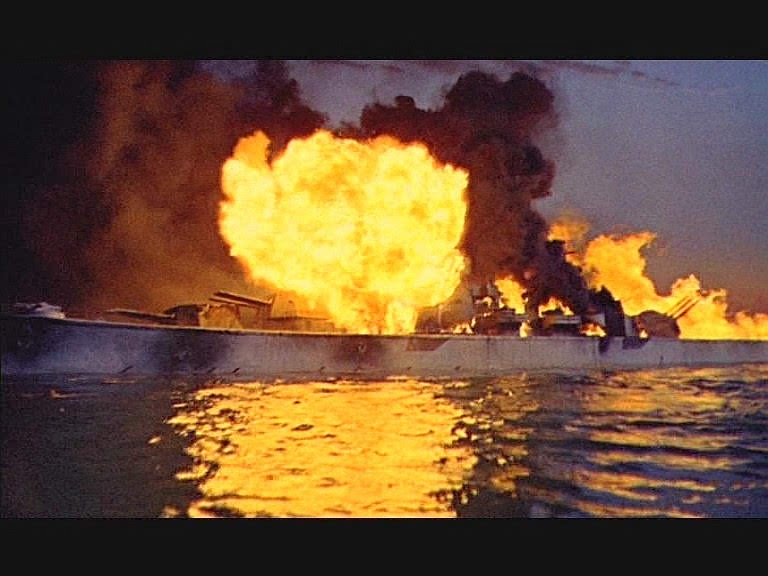 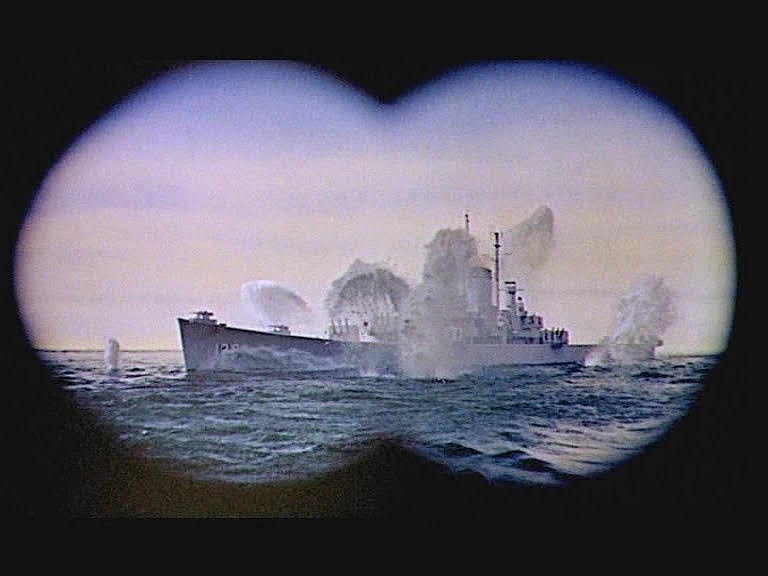 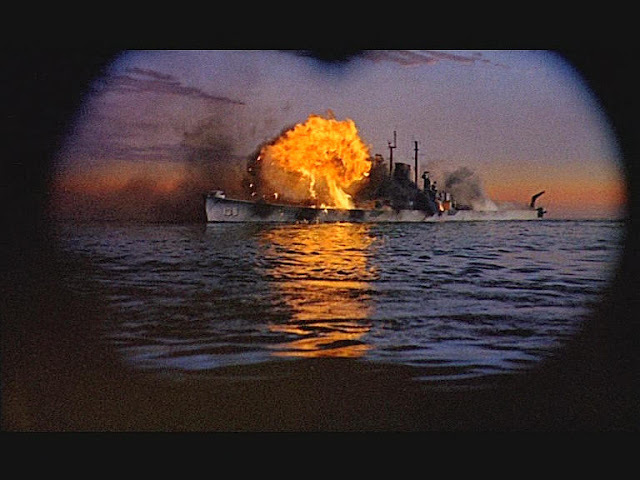 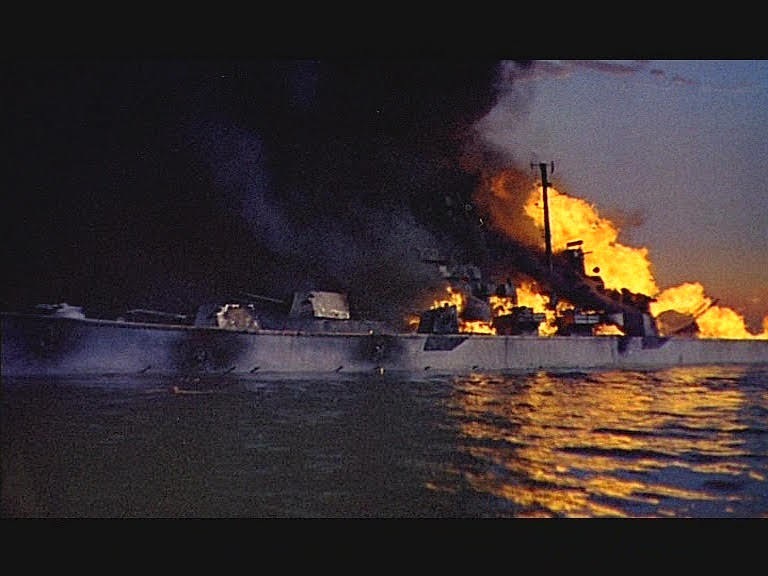 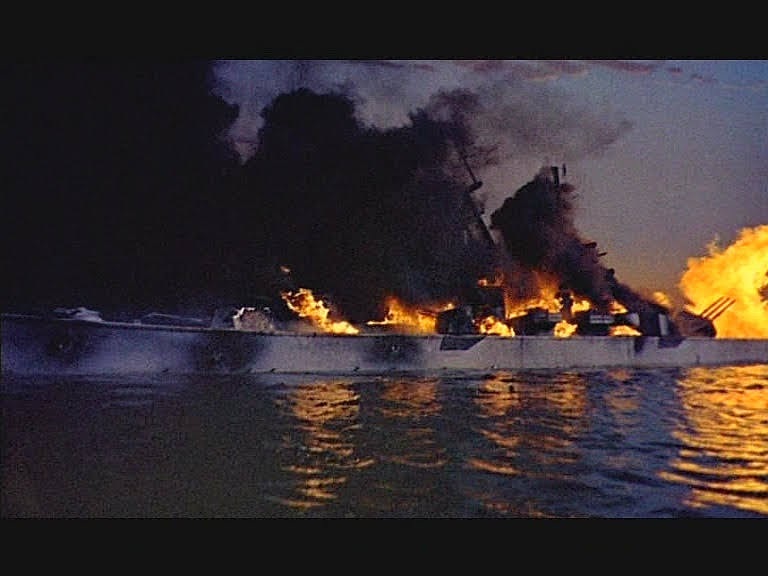 One of the all time classic films depicting Naval Warfare and with a level of accuracy unmatched. 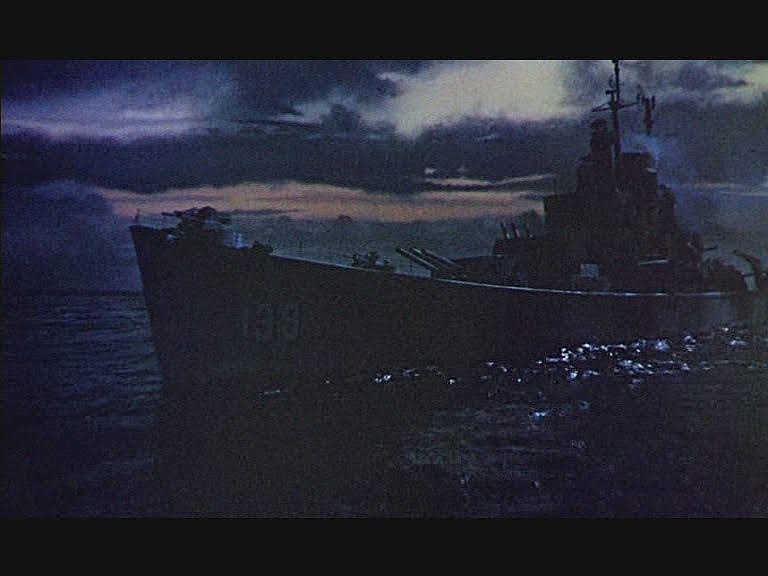 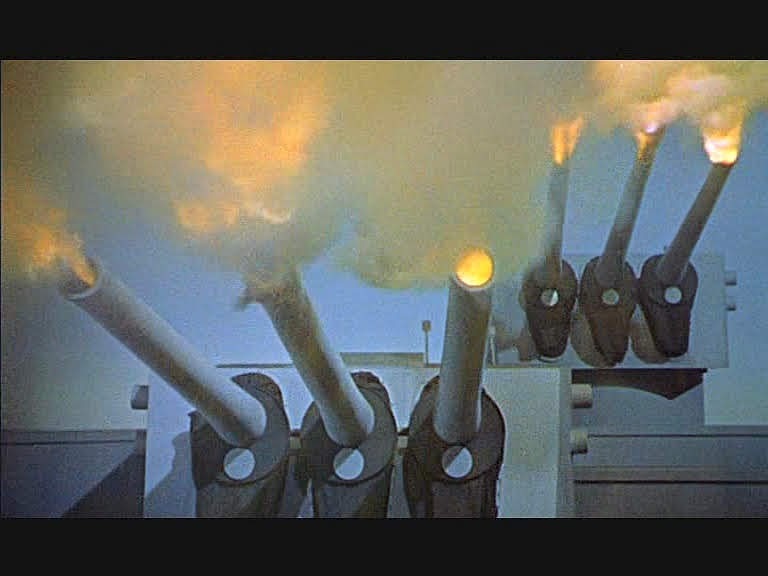 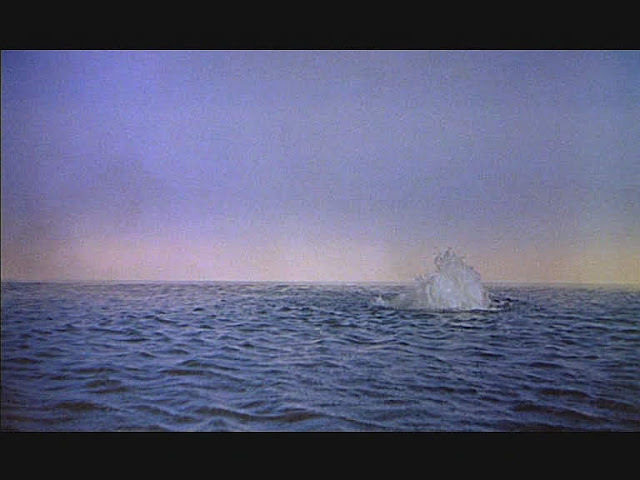 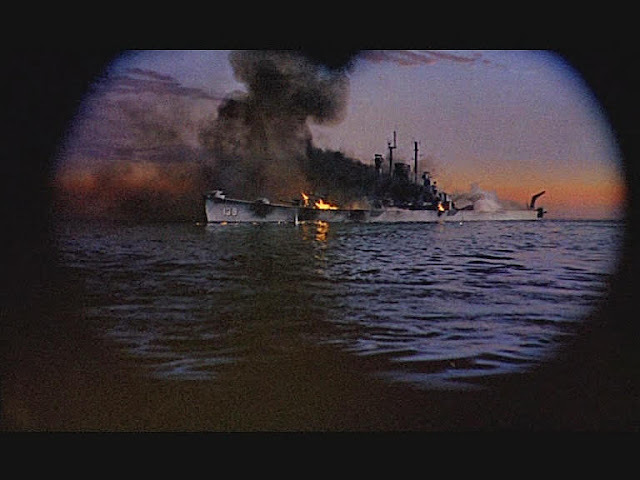 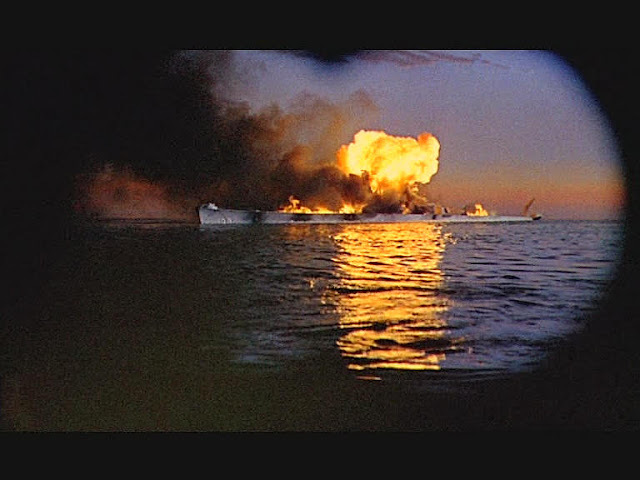 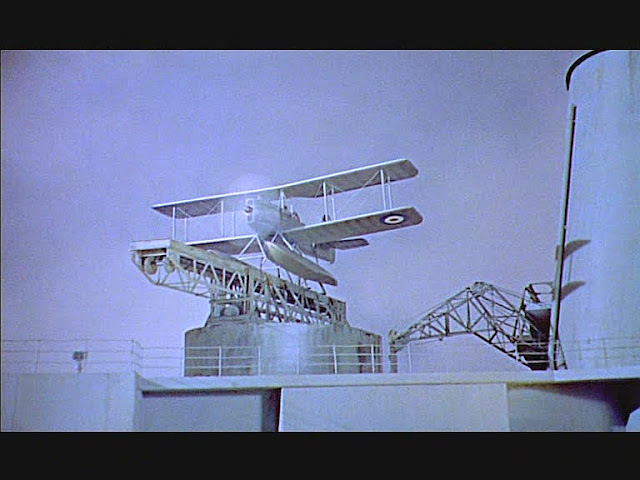 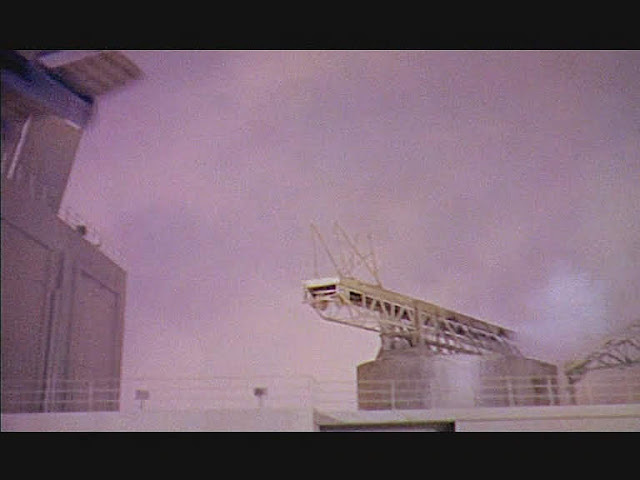 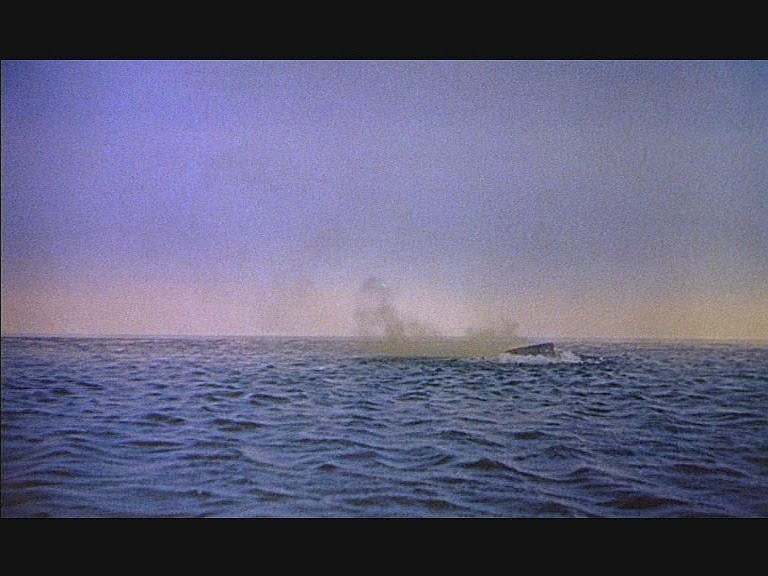 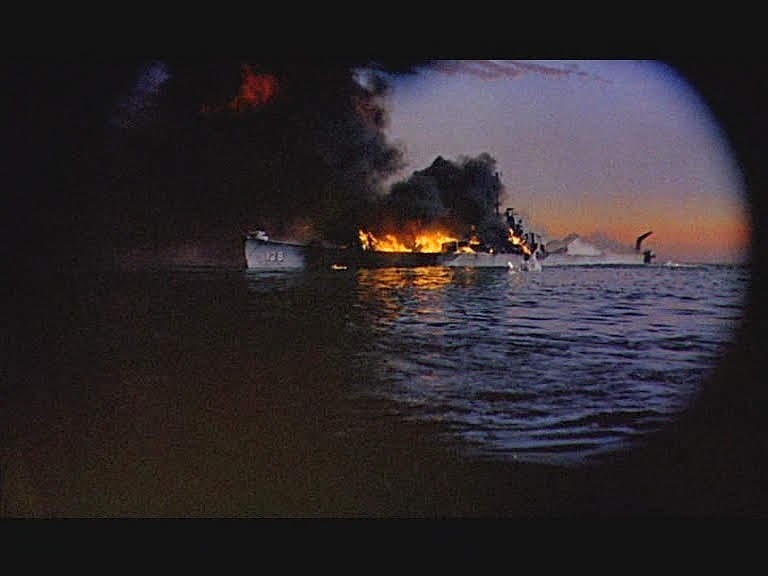 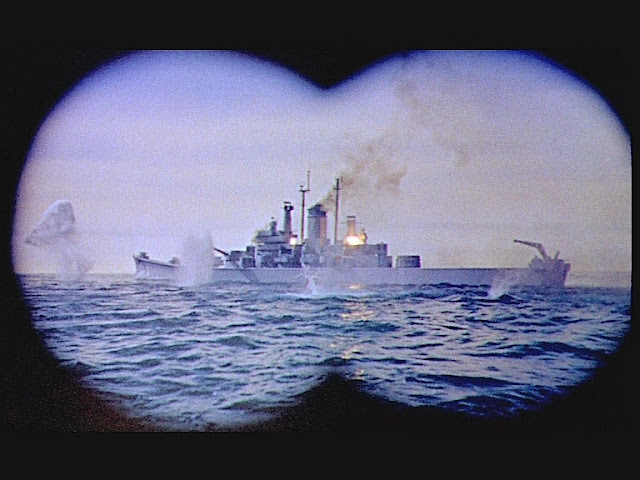 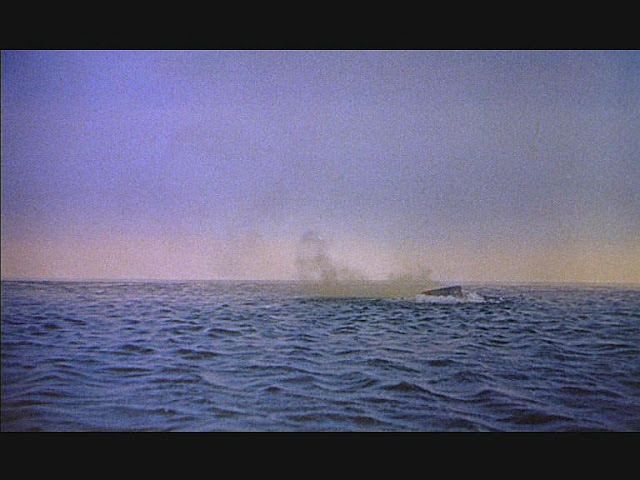 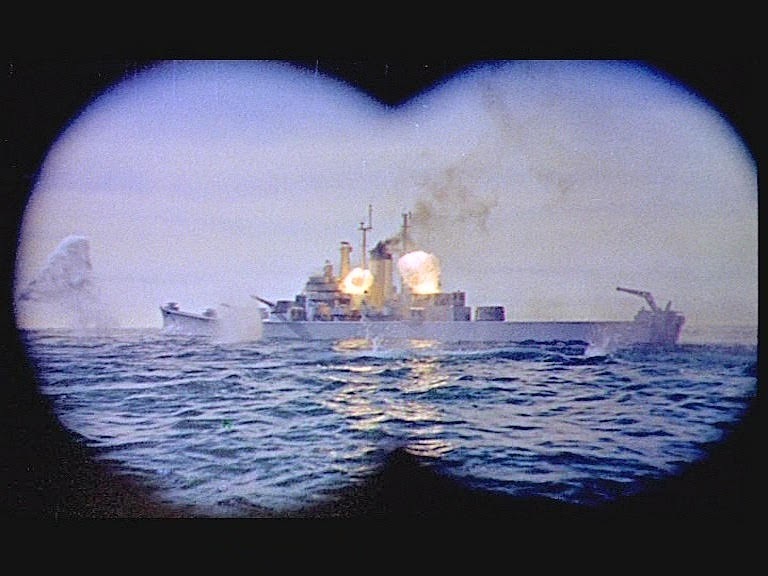 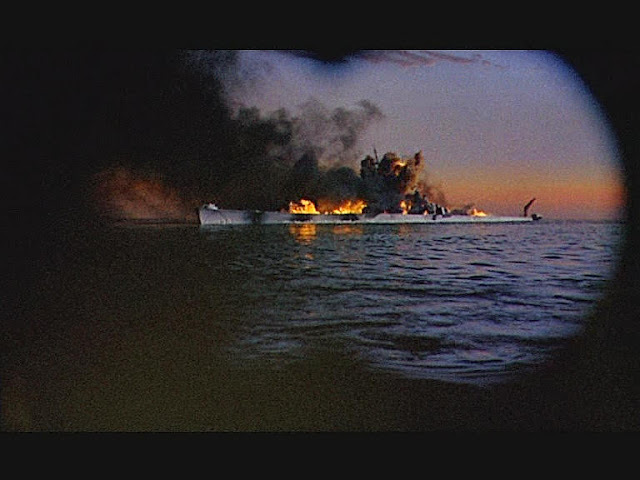 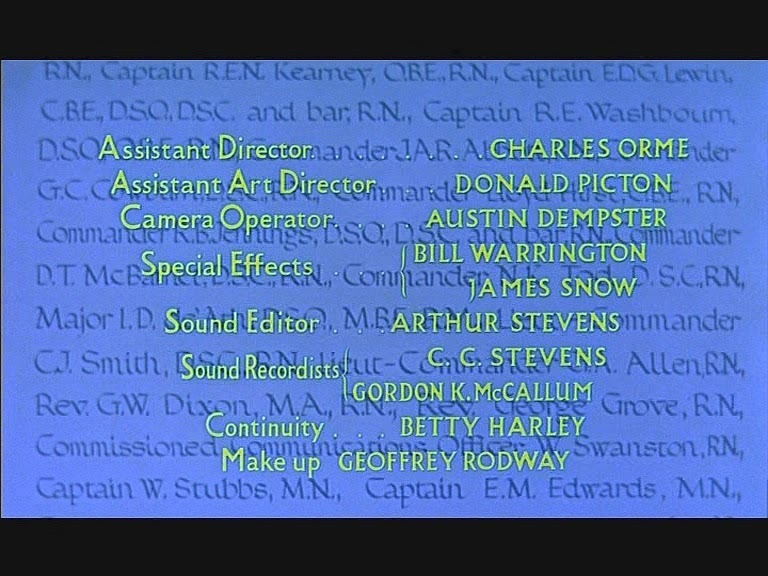 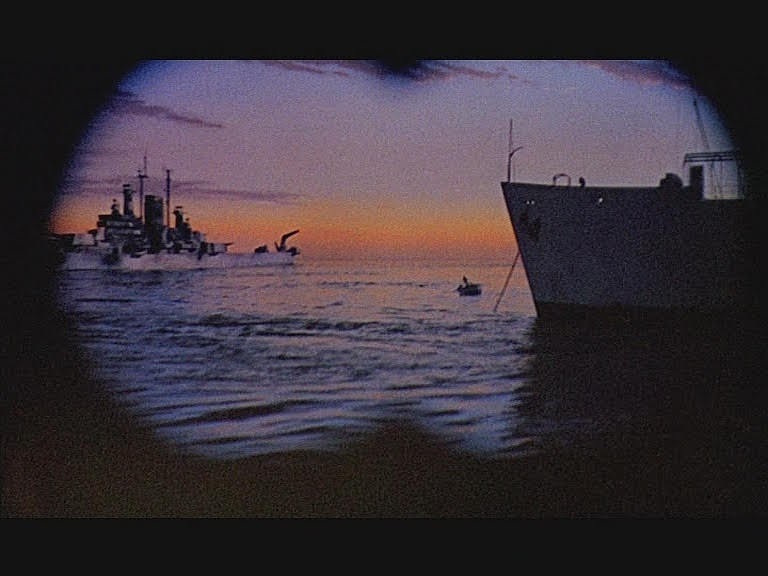 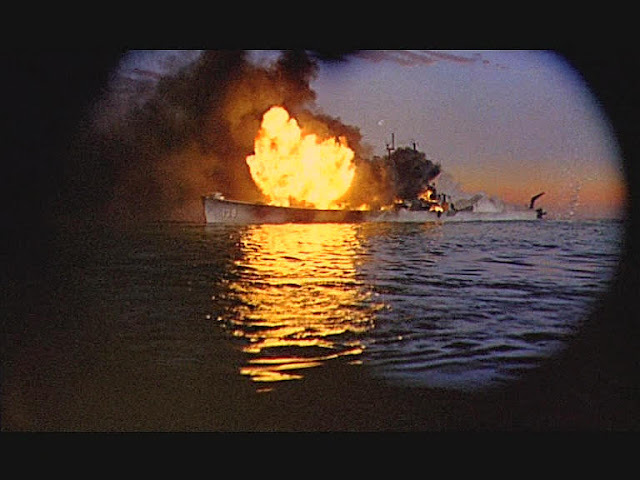 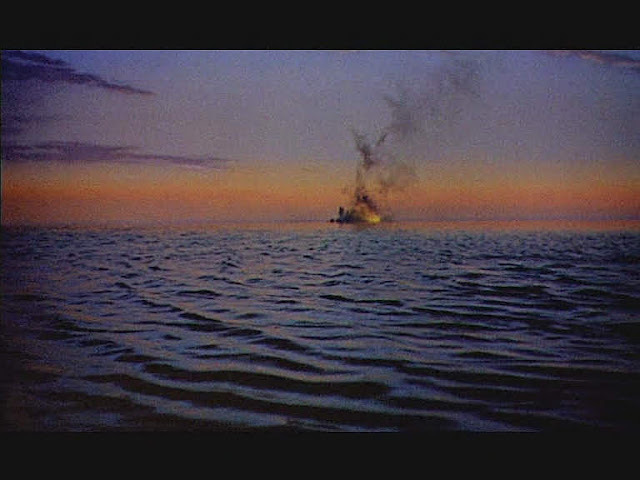 The miniature effects were supervised by Bill Warrington and James Snow. 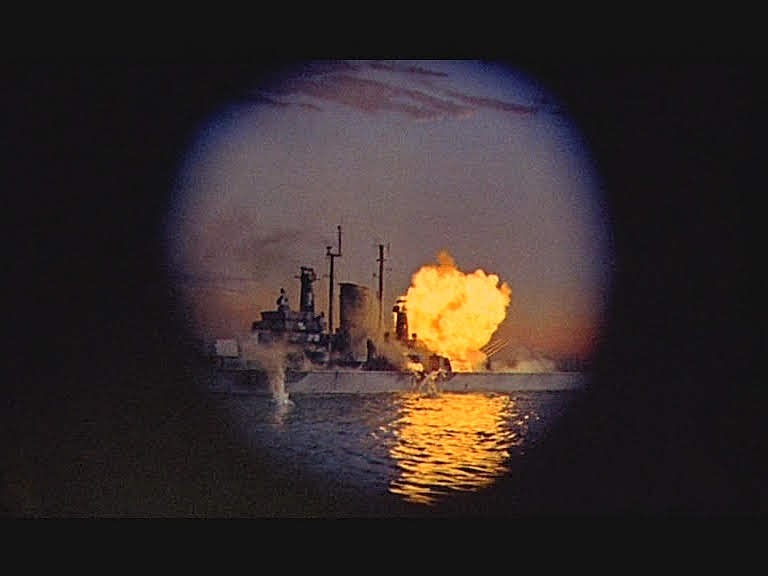 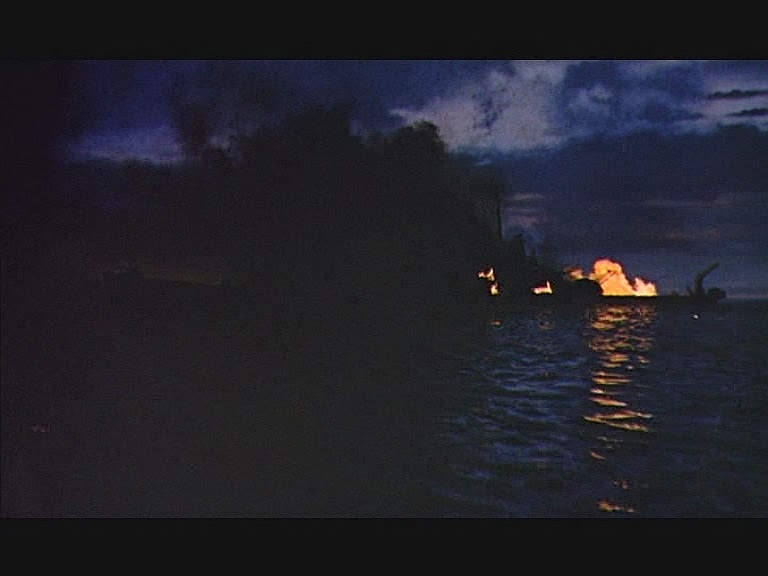 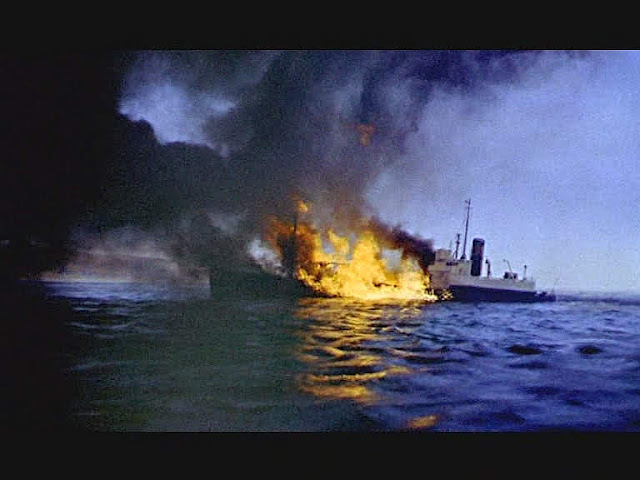 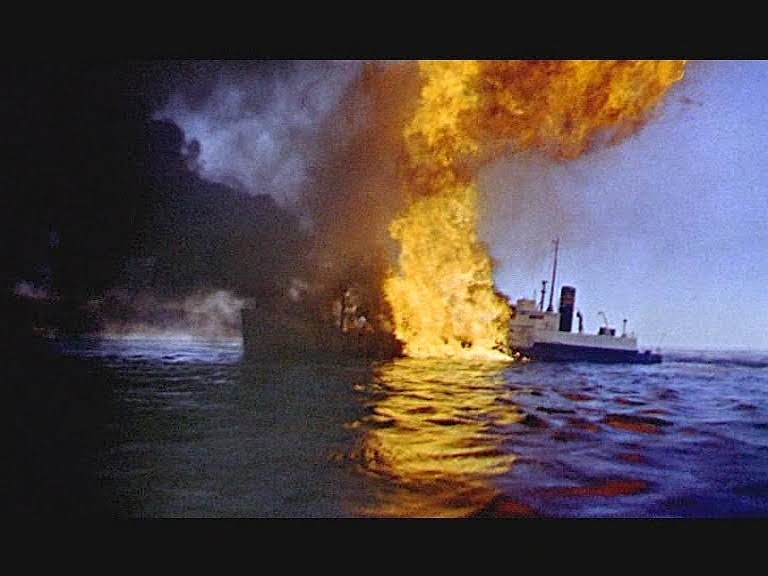 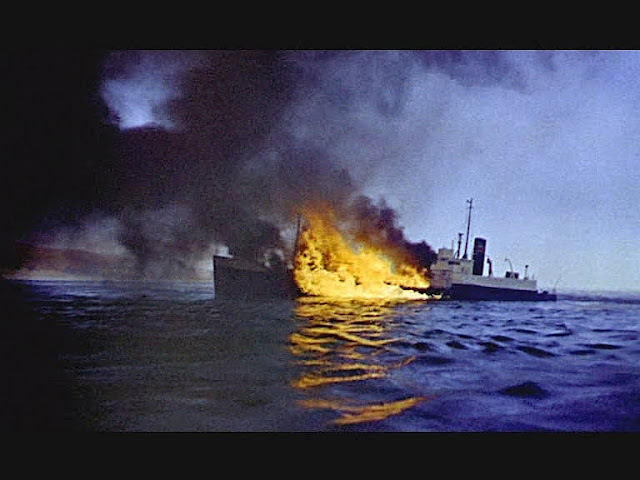 I was contacted by Brigitte the granddaughter of James (Jimmy) Snow, who very kindly provided some incredible behind the scenes photographs of the miniature Graf Spee and its ultimate destruction in a tank at Pinewood. 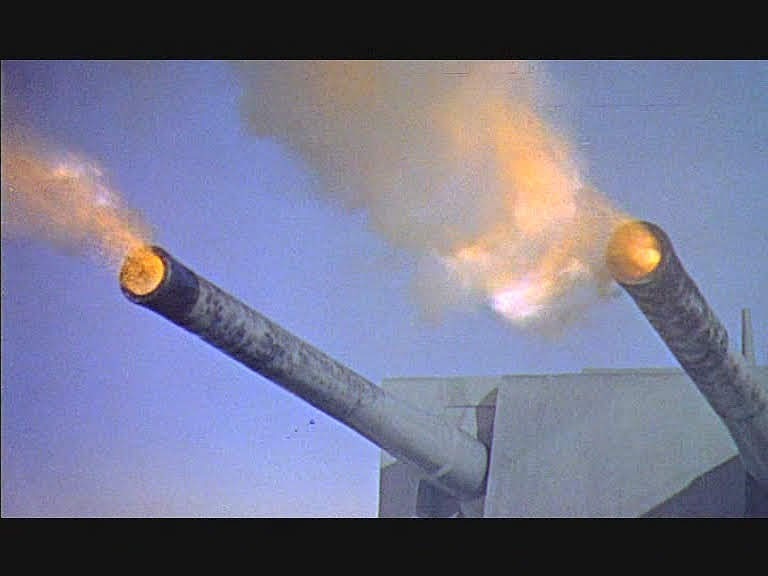 Jimmy snow was a pyrotechnics expert and he provided the terrific miniature explosions and fireballs seen in the sequence. 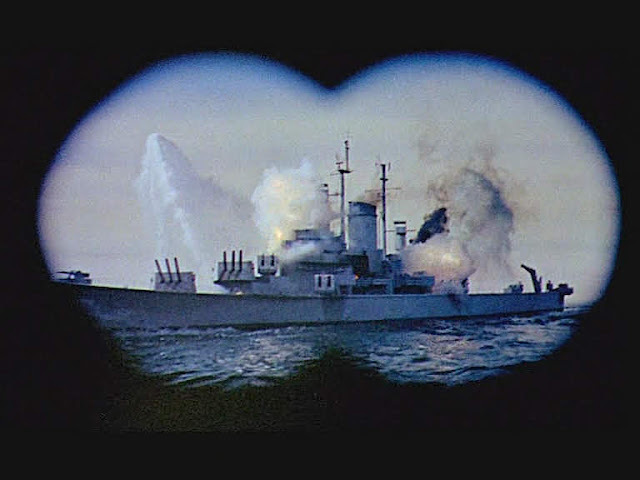 In the photograph below Jimmy Snow is bending over the rear turret. What is interesting from the photographs is the model appears to have been built "British" style with an open bottom. You can see that there is no full hull shape below the water line. It appears to sit on a pipe rig for support in the tank. 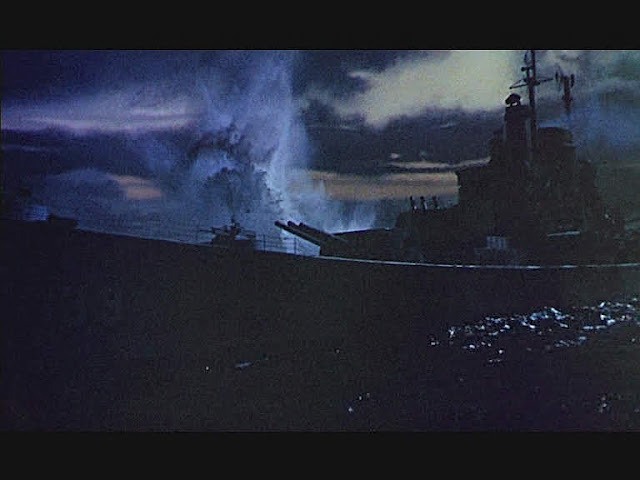 It is possible that it never moves through the water and any movement is simulated by a camera move and the movement of the wake and waves in the tank. 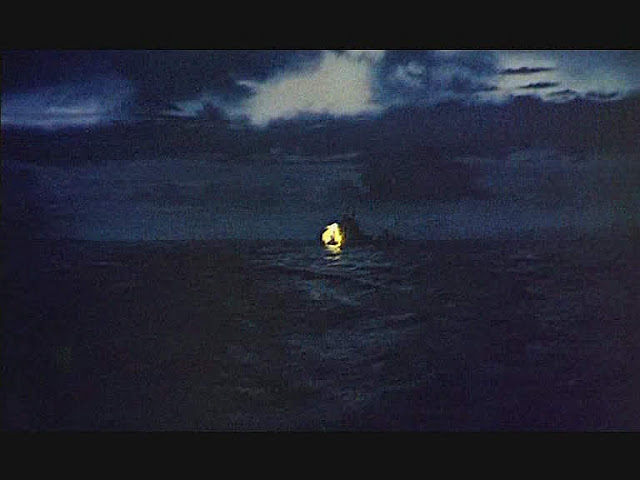 It is mostly stationary in the story. 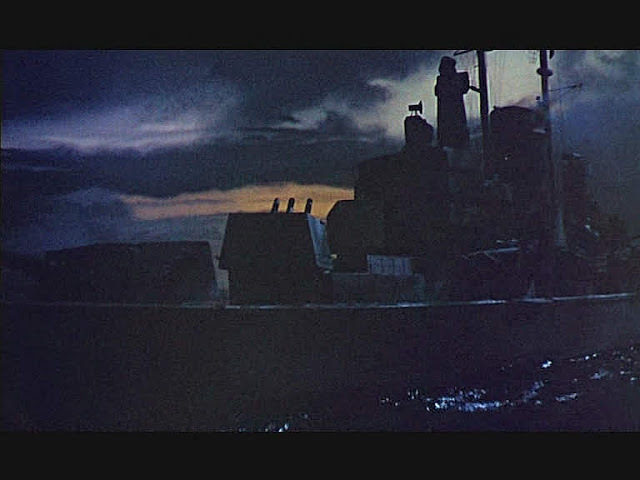 The two photographs above seem to show the ship when the water level in the tank is not quite full. 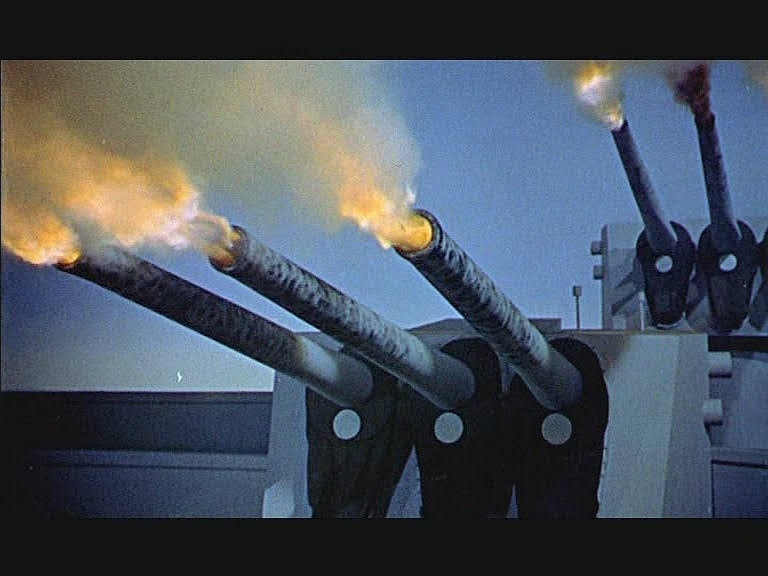 There will be a couple of nozzles aimed up at the bow for the bow wave effect as well as some at the stern to produce the wake. 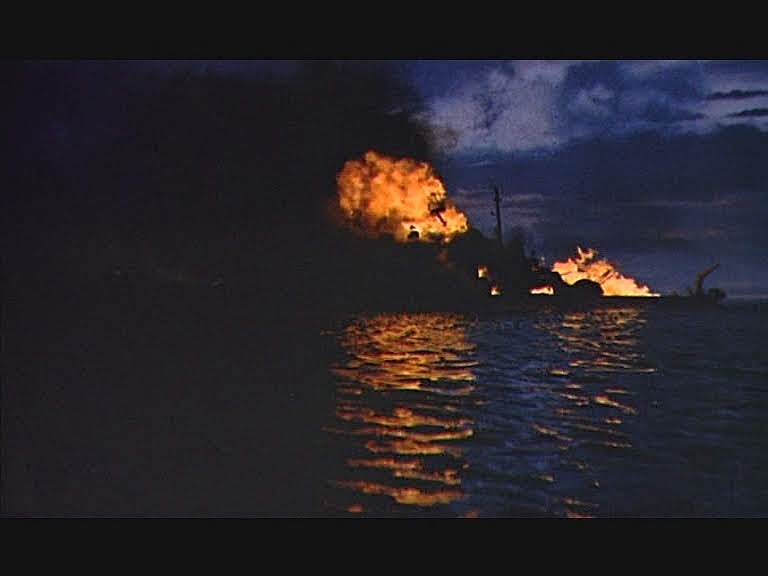 The main reason for the model is to depict the destruction and it has to weather a great deal of flame in the process. 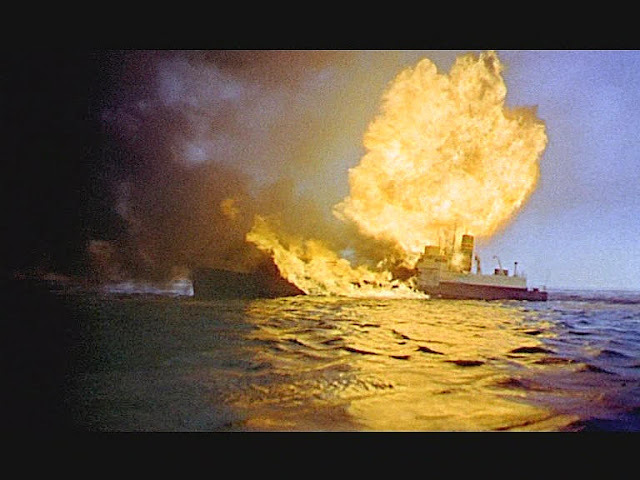 Usually the model is strongly made of non flammable materials able to carry on take after take with no real damage. 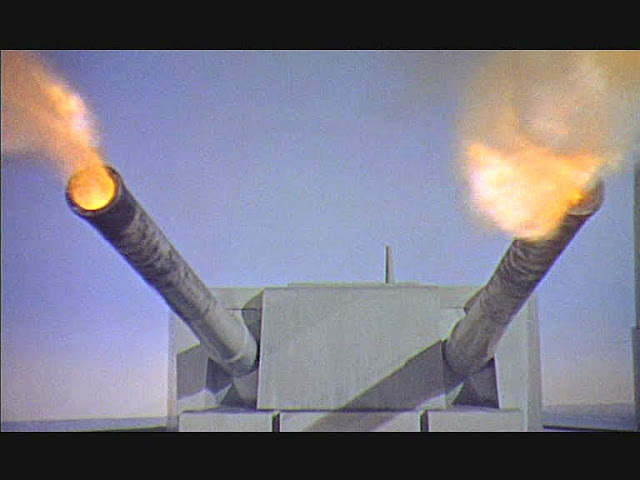 Bits of damage that fly off will be specially prepared mortar charges set into a metal funnel shaped device, designed to throw miniature debris into the air. While the pyrotechnic effects are brilliantly staged and executed, my one criticism is of the lack of sufficient surface detail on the model. 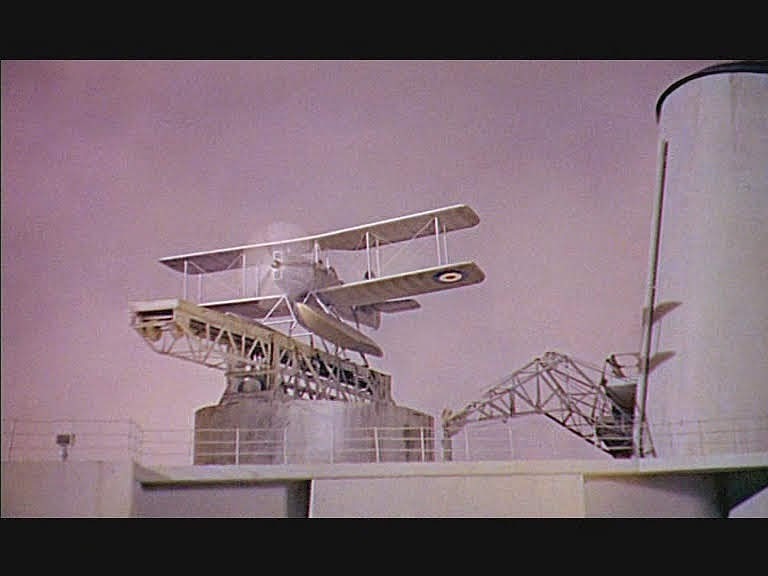 There would be all manner of pipes, cables, ducting and electrical boxes on the superstructure which is not evident on the model. 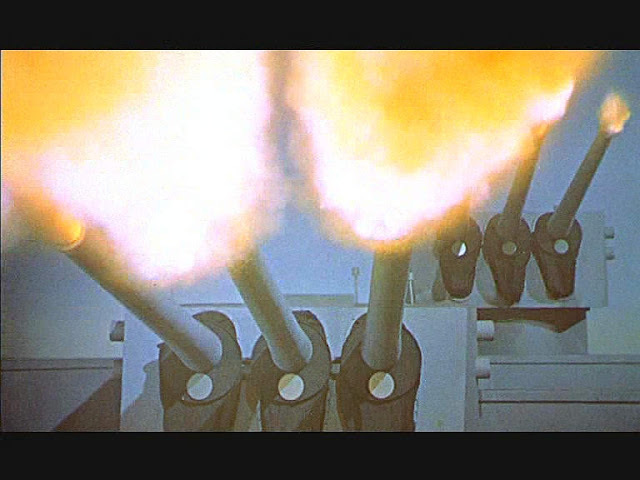 The close up sections with the catapult aircraft launcher and the guns are particularly lacking in this regard. 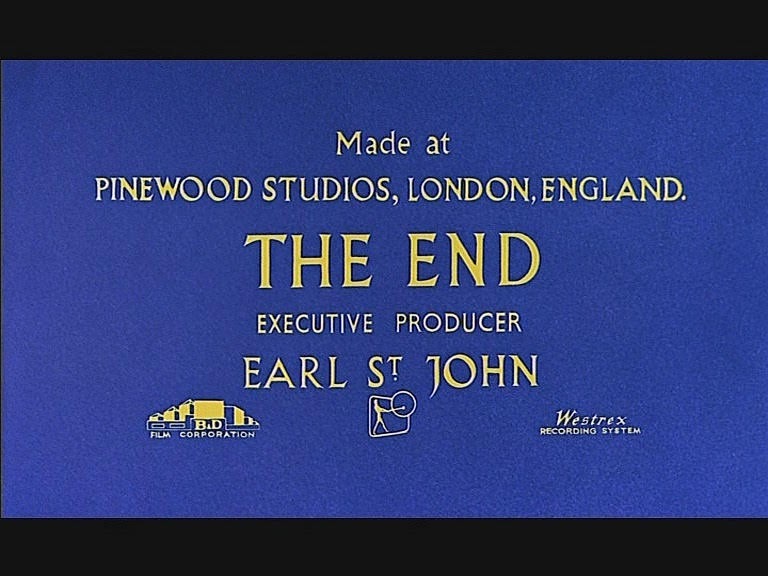 A great post, about a great film. 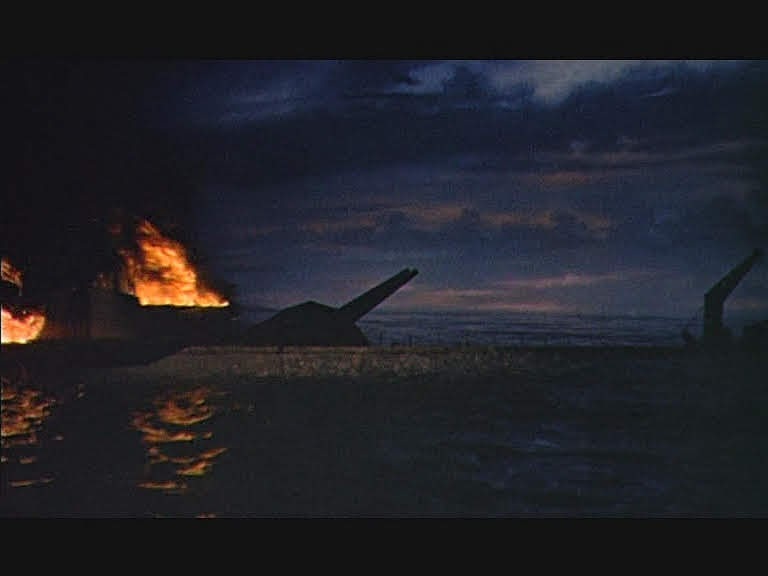 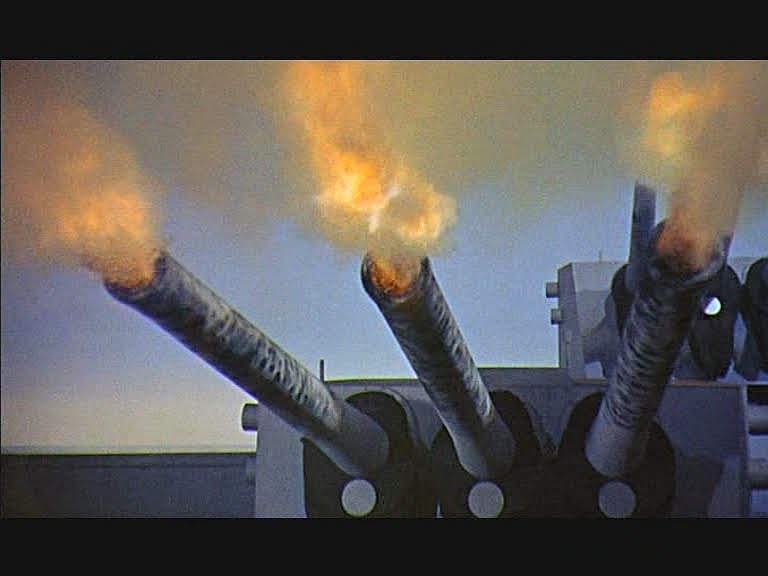 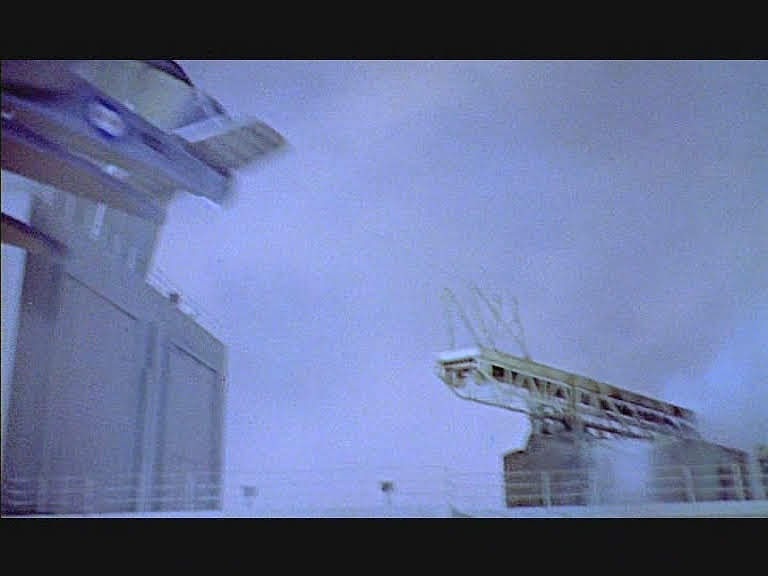 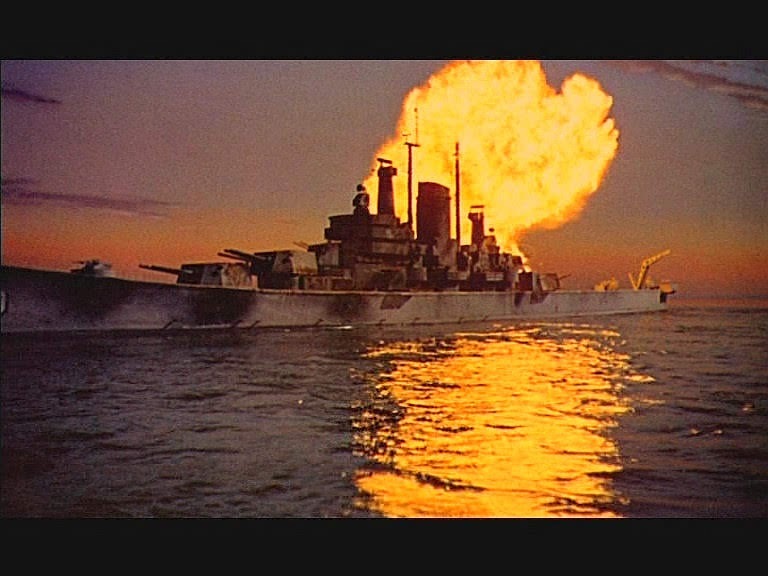 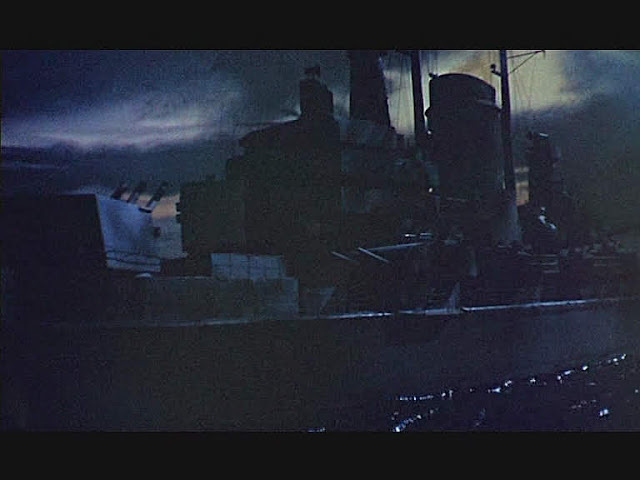 One of the interesting things about this film is that Graf Spee was portrayed by U.S.S. 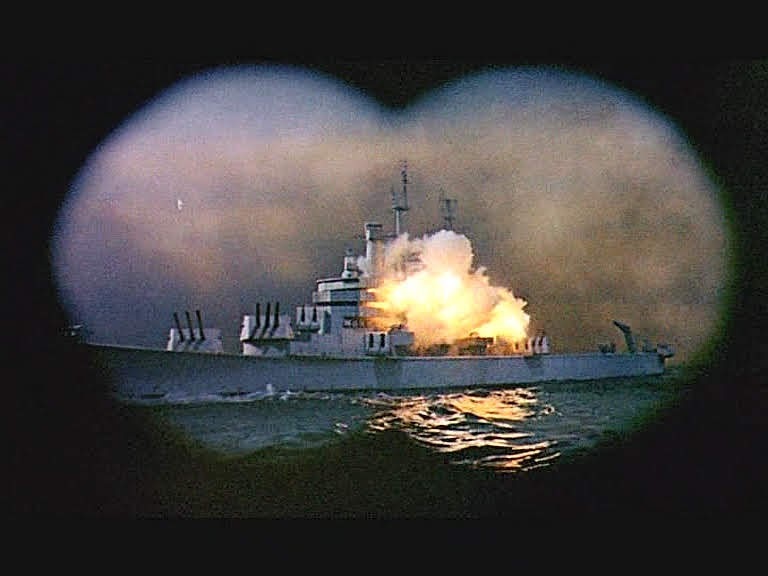 Salem (CA-139), an American heavy cruiser that didn't look much like the real Graf Spee at all -- at least to naval history buffs. 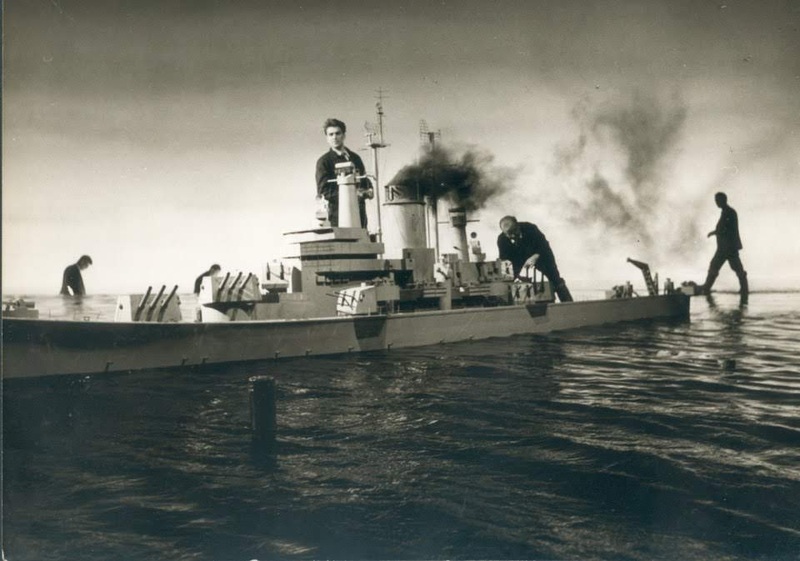 As a result, the tank model was a miniature recreation of the American ship, right down to the U.S. Navy pennant number (139) painted on the bow. The pennant number is mentioned by the captain of the Graf Spee in the movie as a deliberate subterfuge. 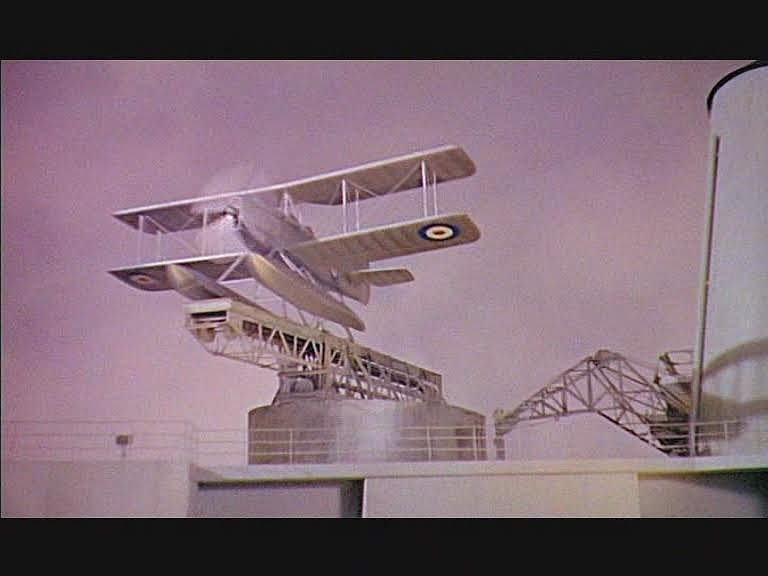 Yes "Number 1". 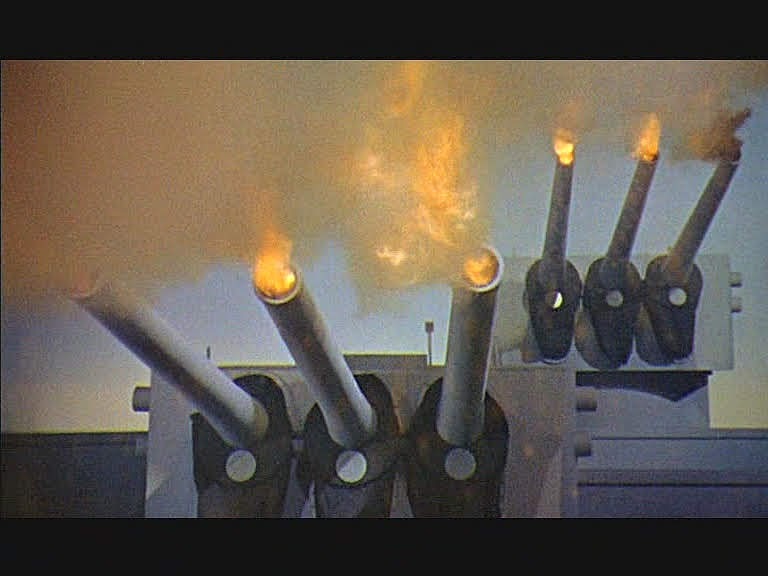 I always remember the "that explains the number on your bow" line. 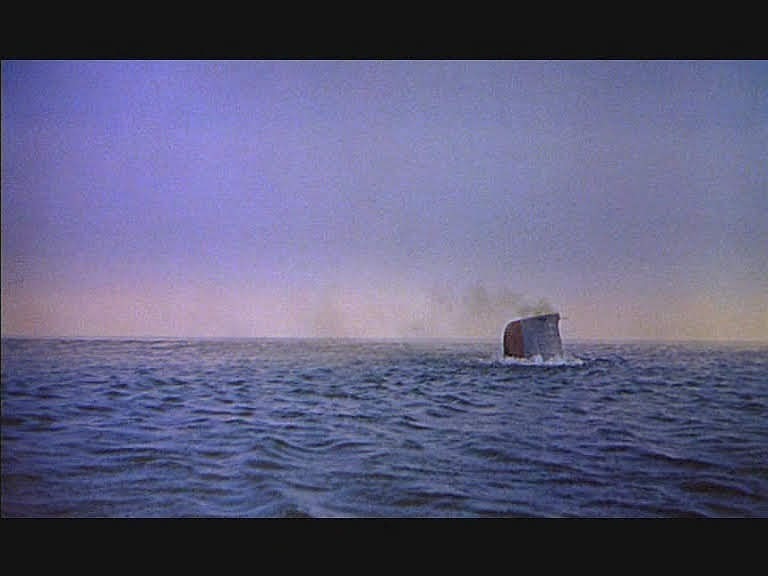 Perhaps they could include "the ship was redesigned to resemble the Queen Mary" in some of the films she has doubled for other ships in. 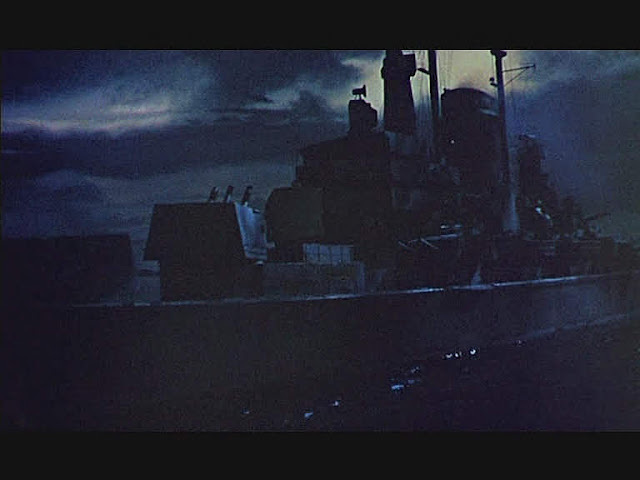 I've always enjoyed the movie, however, as explained in the post, the model is particularly unconvincing. 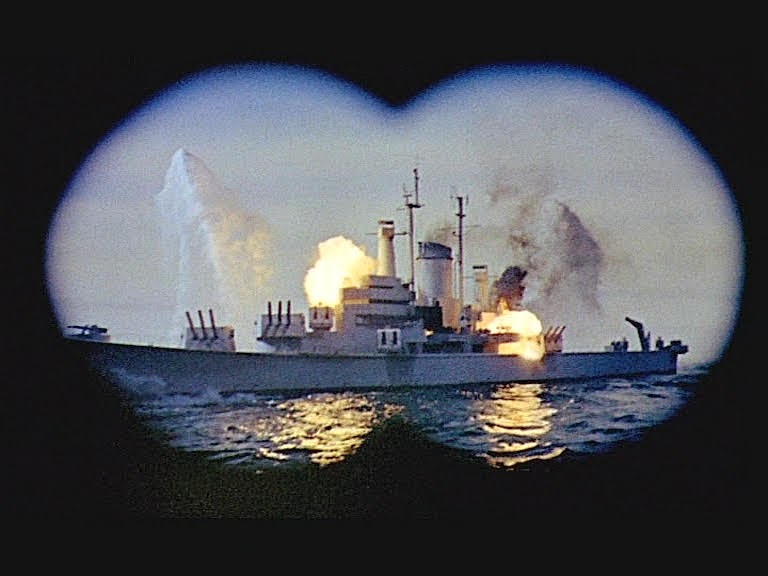 Also, and I know it's not a model, but the excitement of the RN sailors when a "Large, three funneled cruiser" arrives in support is a bit strange, seeing that she's not carrying any 8 inch guns. 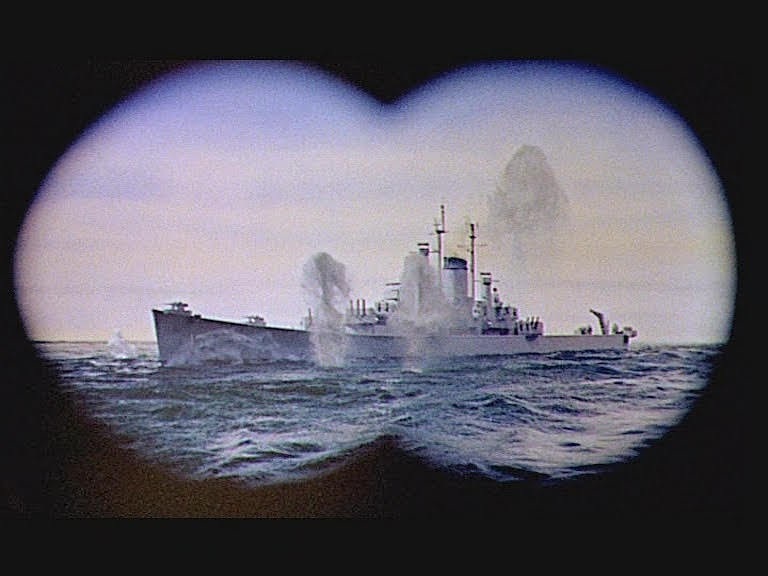 Would have been better if all the ships were good quality models.